Is your ductwork located in the attic? Does the Air Handler for you air conditioning system sweat during the summer and drip water into the auxiliary pan? Are any of your ducts located in the attic and partially covered with insulation? Attics can be more problematic than most people would expect. They can be a harbor for out of control moisture and mold growth (mostly not visible) and result in contamination of the living space below. 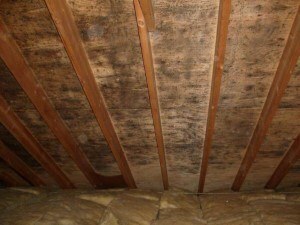 We often suggest mold samples being taken in conjunction with an attic inspection to determine if the unregulated humidity in your attic may be impacting the interior of the home. This is particularly important when HVAC equipment and/or HVAC ductwork is located in the attic, or if occupants are experiencing suspect health-related issues. GLS Engineering is uniquely qualified to provide the most professional, unbiased moisture inspection of your attic. We are mechanical engineers that concentrate almost exclusively on moisture, building envelope and indoor air issues. Should corrective measures be necessary, we can recommend highly-qualified, personally vetted contractors. 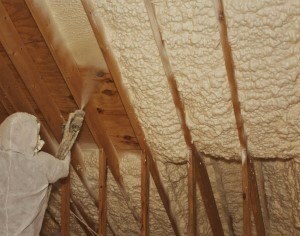 Are You Considering Spray Foam Insulation in Your Attic? Spray foam insulation in the attic can be a great improvement to a home. But there are serious issues that need to be considered. Although spray foam insulation is often advertised as a solution to moisture migration, done without proper consideration of all factors, spray foam in the attic can lead to disastrous moisture problems. GLS Engineering has extensive experience with spray foam insulation and knows all of the issues that need to be considered. Let us help you avoid costly and damaging mistakes that could lead to out of control moisture and mold.